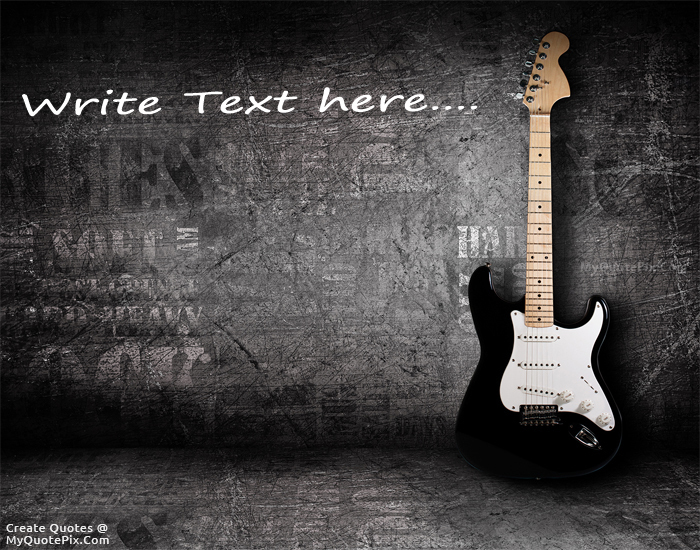 Write quotes, poetry, messages, stories, love letters, aspirations, notes or any other long text on Electric Guitar picture from the Others category by using this quote design maker. You can share this Others quote on your blog and social media. Share this quote design maker with your friends. I think its so cool that you can pick up the guitar and create something that did not exist 5 minutes ago. You can write something that no ones ever heard before. You have music at your fingertips. My body is damaged from music in two ways. I have a red irritation in my stomach. It is psychosomatic, caused by all the anger and the screaming. I have scoliosis, where the curvature of your spine is bent, and the weight of my guitar has made it worse. I am always in pain, and that adds to the anger in our music.